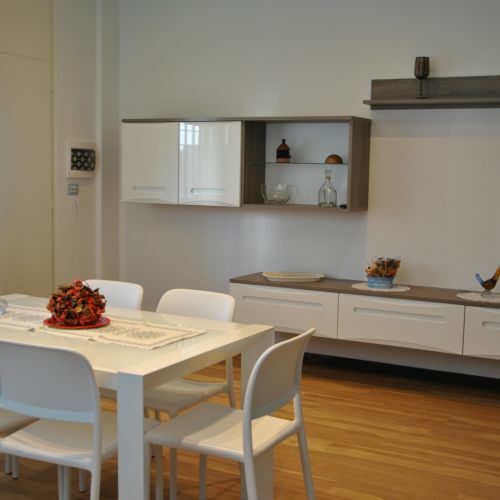 Holiday apartment Ginestra in Misano Adriatico is perfect as a three-room apartment for families. 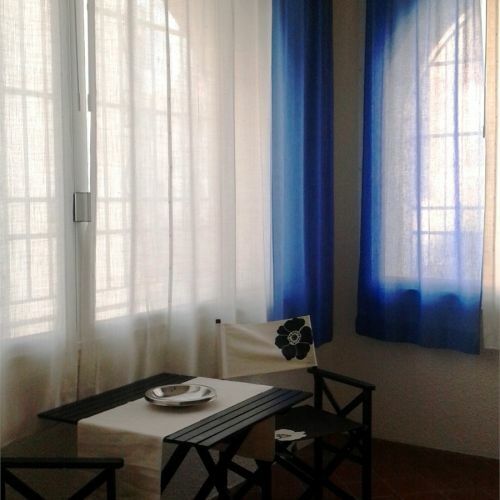 The holiday apartment is a few step from the beach, 5 km from Riccione, 1 km from Cattolica. Torre Nautica Holiday Apartments ideal for beach holidays on the Adriatic Coast or for all year long stays in Misano Adriatico. 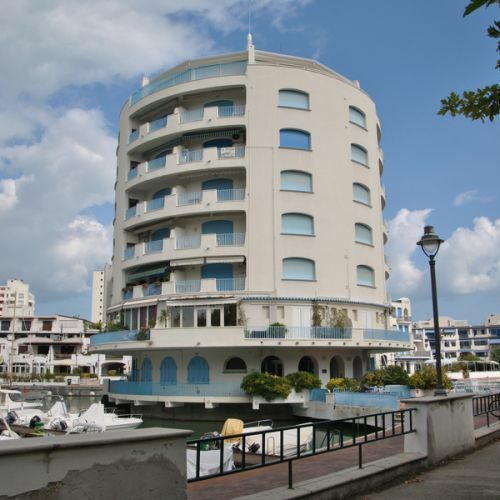 They are located in Portoverde, characteristic tourist port not far from Riccione and Cattolica. 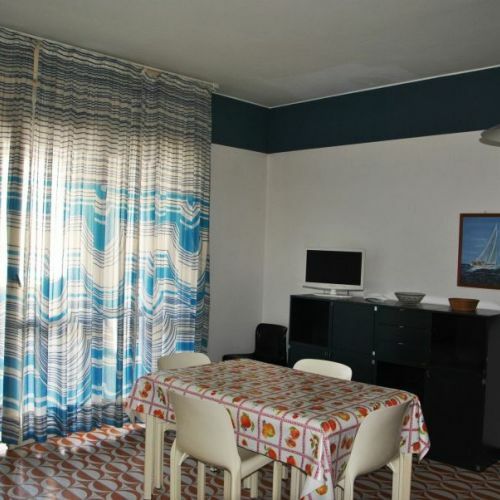 Holiday apartments in Misano Adriatico, Portoverde, near the sea et not far from Riccione and Cattolica. 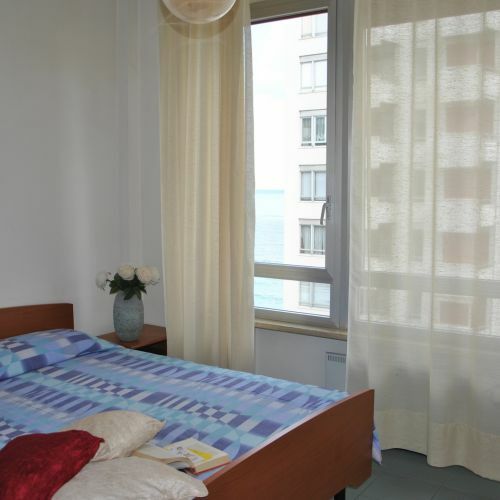 Ginepro apartment in perfect for holidays on the Adriatic Coast. Choose holiday apartments Ancora for your vacation in Portoverde Misano Adriatico; there are many offers for your holidays in the Adriatic Coast. 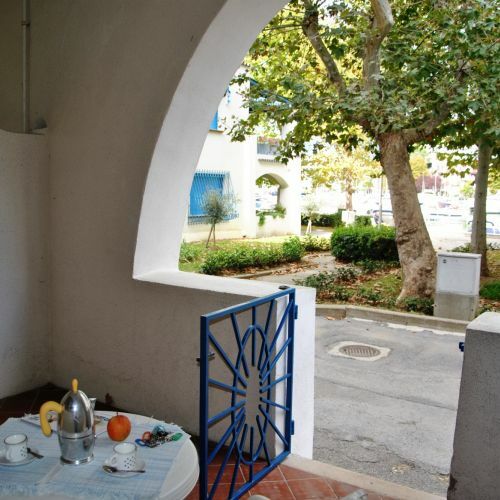 Characteristic holiday apartment in Misano Adriatico, near the sea and in a quiet position, for a relaxing holiday on the Adriatic Coast. Holiday home in Misano Adriatico, in the heart of Portoverde, with studio apartments and two-room apartments, perfect for a relaxing holiday by the sea!
" We had an awesome stay at the property. The best thing was the staff who couldn't have been more kind and helpful. They help us for restaurant bookings, taxis, local supermarkets, beach chairs, etc. Also the location is worth mentioning to be excellent. 5 min walk to the beach and just enough distance to the bars and restaurants to be very nice and pieceful for relaxation. "" By clicking on "I UNDERSTAND" or by continuing browsing, all the cookies specified in the Extended Information section will be activated, pursuant to Art 13 EU Regulation 2016/679 and to Art. 122 of the Leg. Decree no. 196/2003. First of all, what are cookies? Cookies are small text files (few bytes) that are exchanged between a website and its browser and are normally used by the website provider to store the information required to improve browsing on the website. The information on this page does not concern other websites, pages or online services that may be accessed via hypertext links that may be published on the websites, but which may refer to resources outside the data controller’s domain. The information note is only made only for the “RELAX S.R.L. – CASE & VACANZE” website and not for other web sites that may be consulted by the user via links. The information note also refers to Recommendation no. 2/2001 that the European authorities for the protection of personal data, joined together in the group established by art. 29 of the directive no. 95/46/EC, adopted on 17 May 2001 to identify some minimum requisites for the collection of personal data on-line, and in particular the modes, time and nature of the information that data controllers must provide to users when they connect to website pages, regardless of the purpose for which they access said pages. After consulting this website, data may be processed that refers to identified or identifiable people. The data controller for processing is “RELAX S.R.L. – CASE & VACANZE”, with offices in Via Dante, 155 - 47838, Riccione (RN), VAT no. : 02045080401. The personal data stated on this page are processed by “RELAX S.R.L. – CASE & VACANZE”, in order to carry out its own activities. Consent, execution of a contract, fulfilment of a legal obligation and the pursuit of a legitimate interest are the legal bases that will be pursued depending on the data processing carried out on the above website. Processing connected with this website’s web services take place in Italy, and are managed by technical staff from Network Service (data processor), and by other parties appointed by “RELAX S.R.L. – CASE & VACANZE”, during update and maintenance operations. No data originating from the web service is disseminated. The personal data provided voluntarily by the users that send contact requests are used for the sole purpose of carrying out the service or the requested service, possibly also via external service providers. The computer systems and software procedures used to operate this website acquire, during their normal operation, some personal data whose transmission is implicit in the internet communication protocols. IP address or domain names of the computers and terminals used by the users, URI/URL (Uniform Resource identifier/Locator) addresses of requested resources, the request time, the method used when making the request to the server, the size of the file obtained in response, the numerical code indicating the status of the response given by the server (successful, error, etc) and other parameters regarding the operating system and the user’s IT environment are all included in this category. Checking the correct function of the services offered. The optional , explicit and voluntary sending of messages to the “RELAX S.R.L. – CASE & VACANZE” contact addresses and the filling out and sending of forms on the website www.relaxcasevacanze.it involves the acquisition of the sender’s contact data, which are necessary to respond, and all personal data included in communications. Specific information notes will be published on the website pages www.relaxcasevacanze.it set up for providing certain services. Cookies are not used for user profiling. The optional, express and discretionary sending of data entered on data collection forms, or of emails to the addresses provided on this website will entail the subsequent acquisition of the sender’s email address, which is necessary for responding to requests and for any other personal data entered in the letter. It is stated that personal and/or company data entered on the forms contained on the www.relaxcasevacanze.it website are protected by “RELAX S.R.L. – CASE & VACANZE” and used to answer user questions, to provide information and the requested services. Apart from what is specified for browsing data, the user is free to provide the personal data contained in information request forms to “RELAX S.R.L. – CASE & VACANZE”, as required, every time these data are requested, a specific information note will be provided and where necessary, consent will be requested. Personal data is processed using automatic tools for the time strictly necessary to achieve the purposes for which they are processed. Specific security measures are observed to prevent any loss of data, illicit or incorrect use and unauthorised access. We would like to inform you that, in order to provide a full service, there are links to other websites managed by other controllers. We do not take responsibility in the event of errors, content, cookies, publication of immoral or illegal content, publicity, banners or files not compliant with the current legal provisions in force and not observing the Privacy legislation by website not managed by us to which they refer. The following subjects appointed by “RELAX S.R.L. – CASE & VACANZE””, pursuant to article 28 of the Regulation, as data controllers, are recipients of the data collected after consulting the websites listed above. Network Service regarding the website as provider of the development, provision and operational management services for the technological platforms used. The personal data collected are also processed by “RELAX S.R.L. – CASE & VACANZE” staff who follow specific instructions provided about the processing purposes and modes. Third-party countries: Your data are not communicated to third-party countries. You have the right to obtain cancellation (right to be forgotten), limitation, updating, rectification, portability and objection to the processing of your personal data from the controller, and also more generally exercise all the rights provided for in articles 15, 16, 17, 18, 19, 20, 21, 22, of the GDPR where applicable for the purposes of the data processing. The data subject has the right to obtain confirmation of the existence or non-existence of personal data concerning themselves, even if not yet recorded, and for it to be communicated in an intelligible form. of the subjects or categories of subjects to whom personal data can be communicated or can learn of it, as appointed representative in the state territory, as managers or appointees. Processing of personal data concerning him/herself for the purpose of sending advertising or sales materials directly or for market research purposes or for commercial communication. Data subjects who believe that processing personal data referring to them that is carried out via this website is a violation of the contents of the Regulation have the right to lodge a complaint with the Data Protection Authority, as provided for by article 77 of the Regulation, or to file a petition with the relevant courts (article 79 of the Regulation). “RELAX S.R.L. – CASE & VACANZE”, with offices in Via Dante, 155 - 47838, Riccione (RN), VAT no. : 02045080401 as the Data Controller of your personal data, pursuant to and in accordance with the EU Regulation 2016/679, hereinafter referred to as the ‘GDPR’, herein informs you that the cited legislation provides for protection of the data subjects with regard to processing of personal data and that said processing will be based on the principles of correctness, lawfulness, transparency and protection of your privacy and your rights. Your personal data will be processed in accordance with the legislative provisions of the legislation referred to above and of the obligations for confidentiality provided for therein. Provision of the service: Your data will be processed to answer any requests that may reach us via forms filled out and forms available on the website, or to answer any requests which arrive by email. Legal basis: The legal basis of processing is contractual, in the terms in which data processing is provided for further to a request for information for which an answer is required. Marketing - newsletter receiving service: in particular your data will be processed, further to your free consent, to receive newsletters, by entering your email address in the specific text box, containing instructions for subscribing to the newsletter, or by selecting/ticking the correct box stating “subscribe to newsletters” found on a form. Legal basis: The legal basis of processing is the data subject’s consent. Mandatory or optional nature of providing data: the provision of data is optional for the above-stated purposes of providing the service, not filling out the required fields or fields marked with an asterisk, will not allow us to continue with information requests. Your refusal to process data does not compromise continuation of the relationship or consistency of processing. Consent is free, separate and optional for marketing purposes. No consent will not prejudice website browsing or provision of the request services. temporary processing in aggregate, anonymous format. All handling takes place in observance of the modes stated in articles 6, 32 of the GDPR and by adoption of suitable security measures provided for. Communication: Your data will be communicated to responsible subjects and duly appointed for carrying out the services required for correct management of the relationship, with a guarantee of protecting the data subject’s rights. Your data will only be processed by staff expressly authorised by the data controller and, in particular, by staff in charge of website maintenance and updating and, if necessary, by staff appointed to carry out marketing communications. Recipients: Any other technical subjects who must be aware of the data to carry out their own role, such as guaranteeing the correct execution of newsletter subscription requests. Diffusion: Your personal data will not be further diffused in any way. Period of Storage: We would like to point that, in observance of the principles of lawfulness, limitation of purposes and minimisation of data, pursuant to article 5 of the GDPR, the period of storage of your personal data is established for a period of time that will not exceed the fulfilment of the purposes for which the data are collected and processed and in observance of mandatory times for the correct provision of the requested services. Data Controller: the data controller, pursuant to legislation is “RELAX S.R.L. – CASE & VACANZE”, with offices in Via Dante, 155 - 47838, Riccione (RN), VAT no. : 02045080401 in the person of its pro tempore legal representative. Where prerequisites exist, the data subjects also have the right to lodge a complaint with the Data Protection Authority according to the procedures provided for. For any further information and to exercise your rights as acknowledged by the European Regulation, you may contact the data controller. Your consent for receiving the newsletter will be recorded (IP address, email, date and time) by ticking the box below where you enter your email address, or after clicking on the specific box and pressing the “send”/”ok” button. This consent will be stored to prove it has been provided and to allow you to unsubscribe at any time, in addition to all the rights stated above. Sign-up to our newsletter and find out about upcoming deals for your holiday before anyone else!